Euro Optic, and, Titanium Gunworks. Built from Henneberger, Münnerstadt. Especially the Doctor-Sight edition is very flat with just 3,5mm in height! And one big advantage: The teeth of the SR-Rail are machined from the solid - so no plastic inserts like the original Blasseres ! Last edited by Pigeon on Mon Jun 04, 2018 11:59 am, edited 1 time in total. Interesting. Klaus does the doctor mount also match the Aimpoint H2 micro or does is it a separate base? That Docter is super low. Life is too short to hunt with an ugly dog. Hunt with a German Shorthaired Pointer. That mount would enable fitment of the Docter 3 to a Big Bore. It does allow fitting to a big bore. I have that very setup on my 500j. Trying it for the first time Saturday. Interesting. Please let us know how it goes. Does the Docter mount work on the D99? yes, the Doctor works on the D99 - why not? 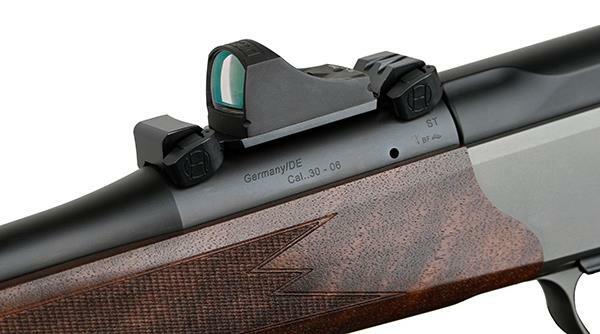 Are the 30mm saddle rings lighter than Blasers version? Perfect! Might get one for my D99. I purchased a doctor of pidgeon years ago for my 9.3x62. Absolutely awesome sight and so tiny. And pidgeon is great to deal with, top bloke. Like the idea of the teeth being machined into the mount instead of a piece of plastic that's glued in. How much in Gringo dollars for the SR mount? Included shipping in that price. Hi Thomas, just wondering how the HMS mount and Docter 3 went on the 500 Jeffrey. 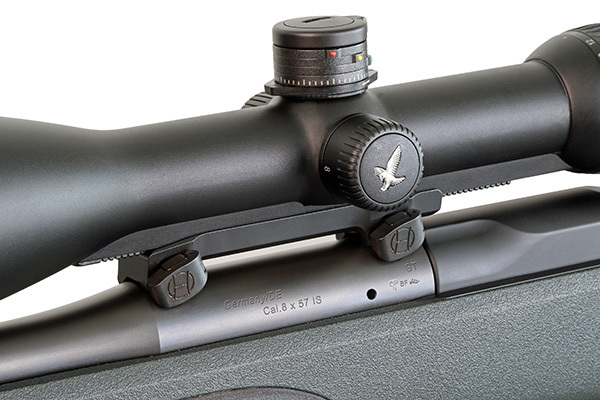 I am looking for a sight for my R8 PH 500 Jeffrey and am a bit torn between the Doctor 3, Blaser RD17, or maybe the Aimpoint H2. I have used the single foot HMS and Docter 3 on my 9.3 for years and am very impressed with it. I think the Doctor really shines under 50 metres when the bush is thick. Perfect for walking dry creek beds hunting pigs when the action is fast and close. How has the 4 feet HMS mount been for you, any issues at all ? This is a bit too weird. I remembered this post but didn't spend much time looking for it. Sent Pigeon a PM last night and he responded today with the info I was looking for. Now tonight 9.3x64 has posted on it. Post been out of commission for 6 months! Anyway going to order at least one and give them a try. The glued in 'teeth' work fine on rifles that have very little recoil. I think this one will be good for the 375 H&H. Now to find the perfect scope. Have several that could be used but may opt for a new Z8i.